The latest installment of "Modern Family" aired in May, but as with any vibrant domestic unit, life proves eventful even when the cameras aren’t rolling: The cast got embroiled in a bitter post-season pay dispute with the producers. The ABC sitcom emerged as the favorite program of both the Obama and Romney families, briefly becoming a political football in the national gay marriage debate. On Sunday, the show won four Emmys – including its third consecutive Outstanding Comedy Series award, one for each season. “Modern Family” returns Wednesday to an increasingly crowded landscape of quirky domestic comedies it helped create, with newcomers that include Fox’ “Ben and Kate” (a flakey brother helps his sister raise her daughter), ABC’s “The Neighbors” (a family unwittingly moves to a suburban community filled with aliens) and NBC’s "The New Normal" (a gay couple hires a surrogate mother, embracing her “Little Miss Sunshine”-like daughter and battling her homophobic grandmother). "Modern Family," which arrived just three years ago as a breath of fresh air by providing laughs than made it hard to breathe, is suddenly the old normal. Not that there’s any immediate serious challenge to the show’s status as TV’s top family comedy. "Modern Family" scored its best ratings last season following a strong run that suffered only in comparison to its great initial two outings. Some of last season’s episodes came off as gimmicky at times – the trip to Disneyland, in particular, felt forced and perhaps a tad tainted by corporate synergy. Still, the season brimmed with moments of relatable sweetness (the search for Lily's lost stuffed rabbit) and hilarity (Lily’s newfound predilection for cursing). Like any family, interactions are driven by rivalries and differences, insecurities and challenges that alternately nudge them apart and pull them together – especially for Christmas, even when it’s not Christmas, as we saw last season. 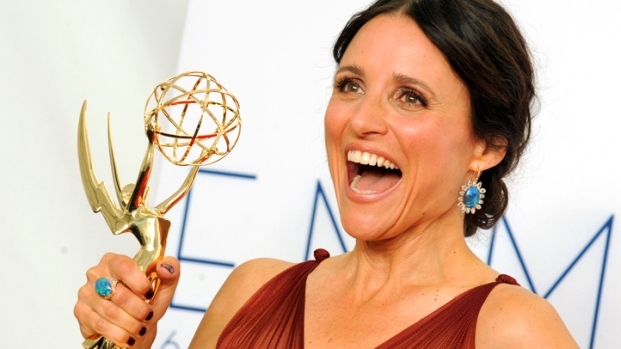 Thanks largely to strong writing led by producers Steve Levitan and Christopher Lloyd, we’ve become addicted to the frequent laughs – and emotionally involved in the characters’ defeats (Claire’s quixotic race for city council) and what passes for victories (Haley’s spot on a college wait list). That we know the various Dunphys and Prichetts on a first-name basis makes them – and us – feel like part of the family. “Modern Family” is at its best when focused on the kids – and on adults acting like kids. Last season ended with Gloria learning she's pregnant. Sometimes the arrival of a new child on a show can be a signal that the shark is awaiting a flyover (see: Stephanie on “All in the Family” and Cousin Oliver on “The Brady Bunch”). But in this case, the additionally jumbled family dynamics (Claire and Mitchell, close in age to their stepmother, will have a half-sibling about four decades their junior) seem like a natural for a show in which the only normal is the mix of love, exasperation and humor than defines any moderately functional family.